How many people will actually return the box? 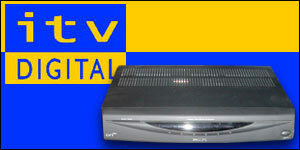 Nearly a million former subscribers to the ITV Digital service are to be given their set-top boxes. The announcement reverses an earlier demand for just under £40 ($64) per box from the liquidator who is winding up the company. ITV Digital's former owners Carlton and Granada, have stepped in to cover the cost of the boxes. BBC business correspondent Hugh Pym said: "ITV Digital's customers continued to receive free-to-air services after the company collapsed last spring. "But legally they didn't own the set-top boxes. "So, when the accountancy firm Grant Thornton was appointed as liquidator to raise money for creditors, it asked the former subscribers to pay nearly £40 per box or to hand them back." Now, he revealed, Carlton and Granada had agreed to pay the liquidator nearly £3m for the boxes. Anyone who has already paid the £40 charge will be refunded. Hugh Pym added: "The ITV companies probably feared further negative publicity if the liquidator had to take legal action against customers to reclaim the boxes. "They will also be keen to support viewers of digital television services, which include channels like ITV 2." ITV Digital collapsed after its parents, Granada and Carlton, spent more than £1bn trying build an alternative service to BSkyB. But it failed to match BSkyB's viewing figures, despite winning the expensive rights to broadcast Football League matches. It left behind debts of about £1.25bn and attempts by the League to recoup its losses from Granada and Carlton failed. "It looks like a sensible solution"